This one is worth repeating: Buyers are ALWAYS looking. If someone needs a lot, they’re not going to take a break from looking. Buyers are searching for land year-round and they’re most likely doing so online from the comfort of their own cozy homes. A bonus to this point is that if you have any prospects come check out the land you can bet they’re pretty serious. If they venture out in cold or snowy weather to see your land you can assume they’re motivated. Because so many sellers mistakenly believe winter won’t bring any prospects they pull down their listings. If your competitors are off the market then those serious buyers from the point above are more likely to see your listing. You won’t have to fight for the attention of buyers and you’ll get the upper hand of being in demand. Your potential buyers will have more free time during the holiday breaks or even on snow days depending on where they live in the country. This means they’ll have more time to devote to their search for land and they’ll definitely be using that free time! Make sure your listing doesn’t go unnoticed! Finally, many buyers are going to want to use the winter to close on deals and get things in order, so their new land is ready to be used come spring and summer. Maybe a prospective buyer is looking to build on their land, or they want a space for family gatherings in warmer weather, whatever the reason may be the winter is the perfect time to get everything in order without losing out on precious time with their new property. We hope that these 4 reasons were enough to convince you to keep your listings up this winter season! If you’re serious about selling your land then take advantage of the head start on other sellers! LandHub.com has access to tons of resources like blogs with all the need-to-know tips and tricks as well as plans for selling your land online, fast! 85% of land buyers look online, will they see yours? Before the bank will lend you money to purchase land (or before you can use your land as collateral for a loan), you will be required to get a land loan appraisal. Just like with a home appraisal, a land loan appraisal is used to determine the general value of a property. But the appraisal process itself is a little bit different than it is for a home. Here’s what you should know about getting a land loan appraisal before you start the process. The total appraisal time will vary depending on the size of the land, where it’s located, and how you intend to use it, but figure that your land loan appraisal will take about two to four weeks to be complete. Sometimes, especially if there’s not a huge availability of nearby appraisers, it could take as long as six to eight weeks. There’s more than one way to determine the value of land being appraised. The exact method used for your parcel is up to the appraiser and/or the lender, and will likely factor in more than one of the below appraisal points. Comparison value. Comps are king when it comes to home appraisals, and they’re important for land appraisals too. In a comparison-based valuation, an appraiser places a high priority on the market value of the land in relation to other land properties sold in the same area in recent years. Improvements and desirability factors will play in to the value that your land is assigned, so your beachfront access or new irrigation system will still count in your favor. Residual value. If there is a lack of valid comps, the appraisal will look instead at the residual value of your land. This type of valuation takes into consideration the possibilities of the land, particularly what can be built on the property and how much that structure would cost and sell for. Land usage. Land can be a risky investment for lenders, and they like to know that it’s worth it. As such, how your land is zoned and what you plan to use it for matters in appraising its value. Generally, commercial land will appraise for higher than land you’re purchasing to farm or build a home on. Lot details. Your appraisal will necessitate a land survey to determine the lot’s exact size, as well as other variables like buildability and easements. Figuring out these details helps the lender better establish how much your land is probably worth in relation to its borders and possible usage. There’s no one equation for determining land value, but there are certain understood factors that increase or decrease what a property is worth. 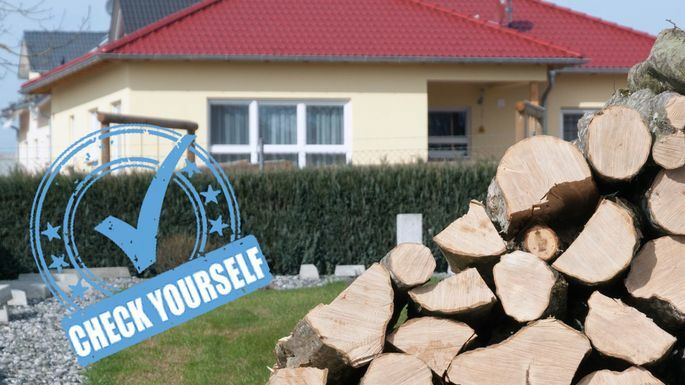 Your appraisal will take into account things like the current state of the land (if it’s completely untouched and will require significant work before it’s usable, that might work against you), as well as things like location, current utility hookups, and the overall quality of the land. A land loan appraisal is designed to protect you, as much as the lender, from spending too much on a parcel that doesn’t warrant its price tag. Pay attention to what you learn so you can be sure to make a sound investment.